Angerella Alfair Albertie, known to family and friends as “Ann” and “Albertie” quietly departed this life on September 4, 2018, at Acosta-Rua Center Community Hospice. Ann was born on July 5, 1950, in Jacksonville, FL. She was the 4th child of 8 children born to Nathaniel and Anna Purdy. 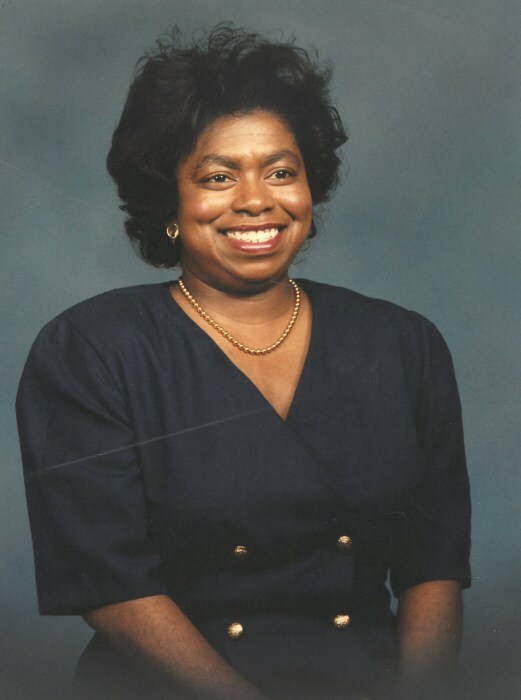 Ann attended Raines High School in Jacksonville, FL and earned an LPN degree at Florida Junior College. She was baptized in Abyssinia Missionary Baptist Church, and later following marriage became a member of Friendship Baptist Church. Ann married Timothy Albertie of Jacksonville, FL on July 14, 1972. The couple lived in Jacksonville, Florida. Two children were born to their union: Anna Albertie Middlebrook, and Timothy Albertie, Jr. Two grandchildren were born to their daughter: Chelen Ashley Middlebrook and Edwin Elijah Middlebrook. Ann retired from Shands Hospital following over 30 years of service. She was an active member of the union at Shands and was known for her leadership as a union steward. Ann enjoyed fishing with her husband Tim, eating seafood and traveling with her daughter. Ann also enjoyed spending time with her grand kids. Ann is predeceased by her husband, Timothy Albertie; and parents, Nathaniel and Anna Purdy. Ann is survived by her children, Anna Albertie Middlebrook of Lorton, VA and Timothy Albertie, Jr. of Jacksonville, FL; son-in-law, Edwin Middlebrook of Lorton, VA; grandchildren, Chelen Ashley Middlebrook and Edwin Elijah Middlebrook; brothers, Van Davis, Nathaniel Purdy, Gregory Purdy and Donald Purdy of Jacksonville, FL; sisters, Nancy Selby and Suzette Porter of Jacksonville, FL and Theresa Purdy of Rancho Cucamonga, CA; and aunt, Geraldine Robinson of Ocean Port, New Jersey; she is survived by a host of nieces, nephews, cousins, sisters-in-law, brothers-in-law, family and friends who love her dearly.